Since the Great Depression and including the latest incarnation of the Great Recession, none of them have come anywhere close to the horrible conditions during the 1930s. Thus, Barack Obama’s citing of the Great Recession falls short in excusing the dismal economy and the failed Obama recovery. The lousy economy is due to faulty policies since the end of the recession in June 2009. As the end of Obama’s presidency nears the U.S. is more than $19 trillion in debt, and the debt nearly doubled during Obama’s presidency. At a seriously high $10.6 trillion when he began, Obama’s policies have added about a trillion dollars for each of his eight years in office. Obama has claimed the creation of millions of jobs. "We're in the middle of the longest streak of private-sector job creation in history,” he said. “More than 14 million new jobs; the strongest two years of job growth since the 1990s; an unemployment rate cut in half." Well, sort of. When a recession produces job losses, the recovery – even a poor recovery like this one – produces some “new jobs.” And according to CNN Money, Obama created 9.3 million, not 14 million, new jobs. The Bureau of Labor Statistics explains that the U-6 unemployment rate reflects “total unemployed, plus all marginally attached workers, plus total employed part time for economic reasons, as a percent of the civilian labor force plus all marginally attached workers.” At the end of the first quarter of 2016, the U-6 rate was 10.1 percent. These unemployed, discouraged workers who have stopped looking for a job, and underemployed workers are not counted in the unemployment figure the administration brags about, but are nonetheless part of the American workforce, which totals 243 million people, and currently more than 90 million of them are unemployed or underemployed, putting the workforce participation rate at a decades-low 62.6 percent. In a May open-ended Gallop survey, participants noted general economic issues as the most important thing on their minds, but not far behind were issues with their government, such as immigration and race relations, two things Obama has made worse. Potentially more serious, however, is the disintegrating U.S. influence across the globe and our severely weakened military, issues considered so serious that Congressional Republicans have developed a 23-page policy document to address them, under the leadership of House Speaker Paul Ryan (R-Wis). 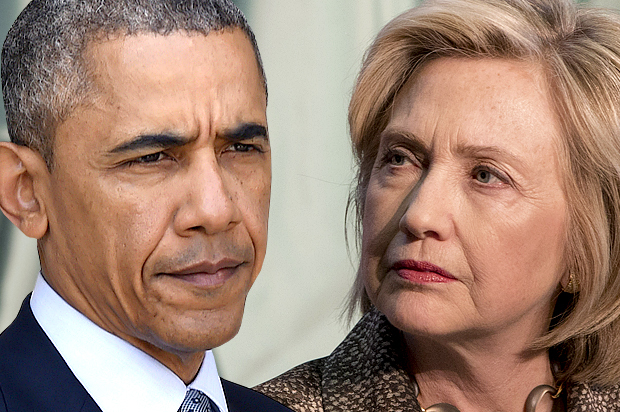 With Obama’s tenure ending we are faced with the prospect of Hillary Clinton being elected to what will essentially be Obama’s third term, continuing his disastrous policies, and adding her own signature disasters to the mix. Among Clinton’s favorite issues are: gun control, climate change, and income inequality. She says that 33,000 gun deaths every year is unacceptable. But considered in context, 33,000 deaths among our 320 million population is roughly one death for every 10,000 people. And not all gun deaths are murders. Some are killed by police; others by people defending themselves; some are suicides; some are accidents. To Obama and Clinton, the Orlando terrorist attack is a gun control issue. Obama’s manic compulsion for climate change has produced policies that have destroyed the lives of thousands of energy industry workers, and wasted billions of taxpayer dollars propping up failing green energy companies like Solyndra, based on a theory that is faulty and heavily disputed. Likewise, Clinton wants to install a half-billion solar panels by 2020, seven times what we have today. More bad policies on the horizon. She favors making incomes more equal, not understanding that wages are based on economic principles, not fairy tale desires. She wants a $12 an hour minimum wage for everyone, trained or not, good at their job or not. And we cannot ignore her failure to provide adequate security at the Benghazi consulate when evaluating her foreign policy credentials. Clinton, like Obama, seeks to control and ignores logic and reasoning when seeking solutions. She shares his “big government as the solution to all problems” philosophy, and that is a recipe for continued trouble.